The gorgeous gorgeous Cara Delevingne in a new campaign from the spring 2013 campaign from Polish fashion label, Reserved. 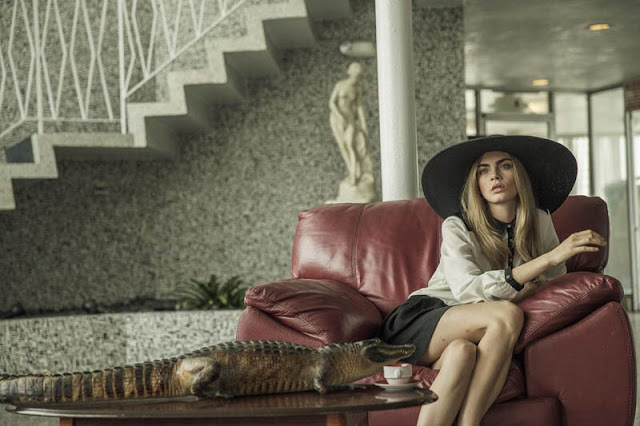 Cara poses for Mateusz Stankiewicz’s in Miami, Florida .. LOVE HER! WOWSER! THESE SHOTS ARE ABSOLUTELY STUNNING! Fabulous. That shot w/ the black & white look and the hat? Swoon! Amazing she looks beautiful. Very nice photos! I love Cara !! It's so difficult to select my favorites here but I guess I would have to go with the first and the last.